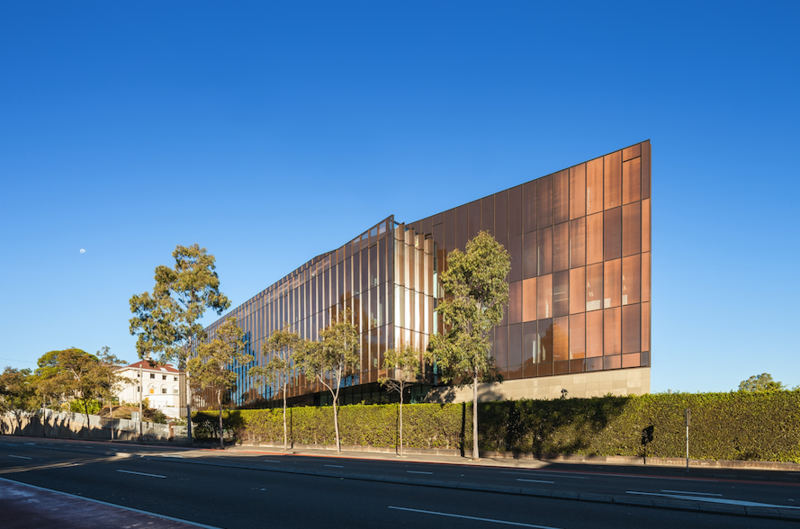 The wait is almost over for students and employees of the University of Sydney as completion of the highly anticipated Social Sciences building was announced today. 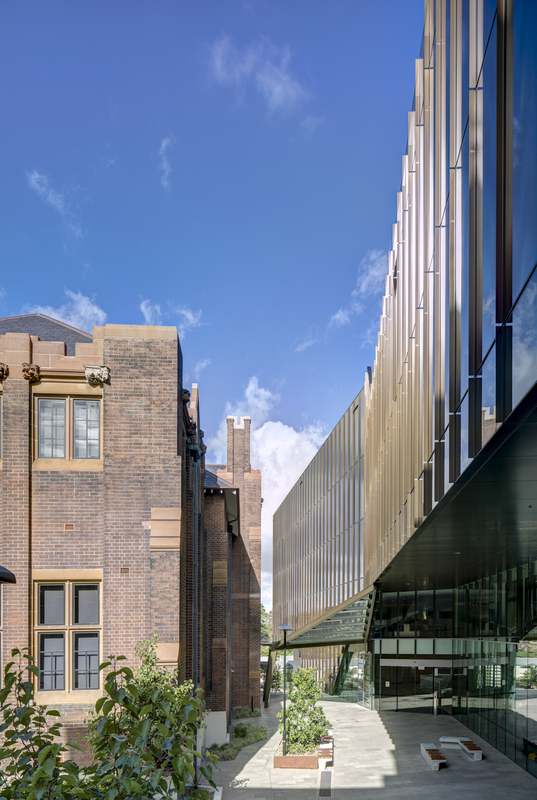 The modern and highly sustainable design embraces its heritage context of the Camperdown campus, honouring the legacy of one of Australia’s oldest universities. 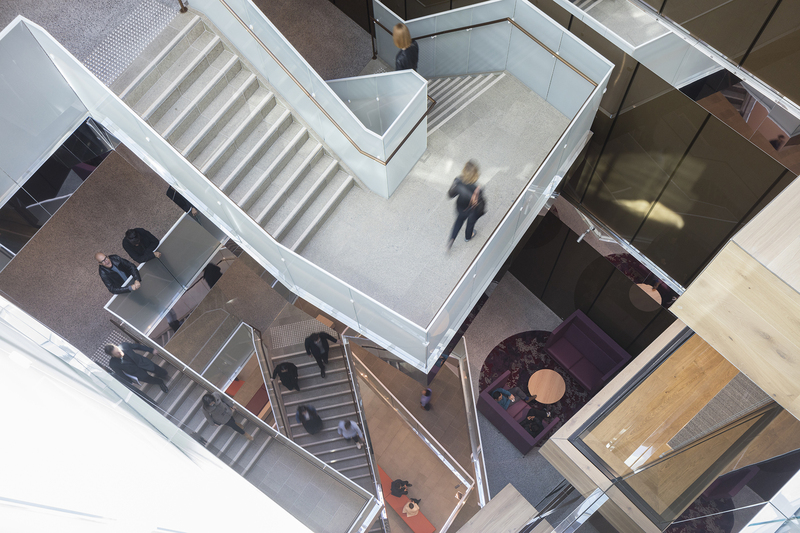 Contemporary teaching and learning spaces have been created to encourage collaborative learning through the creation of large light filled open-plan spaces, a design choice made to inspire a sense of faculty community, and inclusiveness. 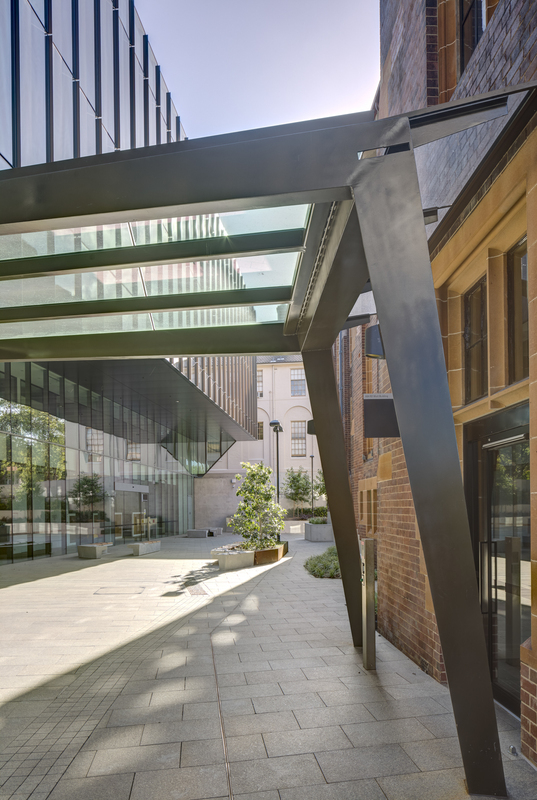 The design also reflects the University’s commitment to “invention and evolution” by using technological advancements to produce a highly eco-conscious design which meets the University’s Silver As-Built Rating (which is equivalent to a 5 Star Green Star Rating). 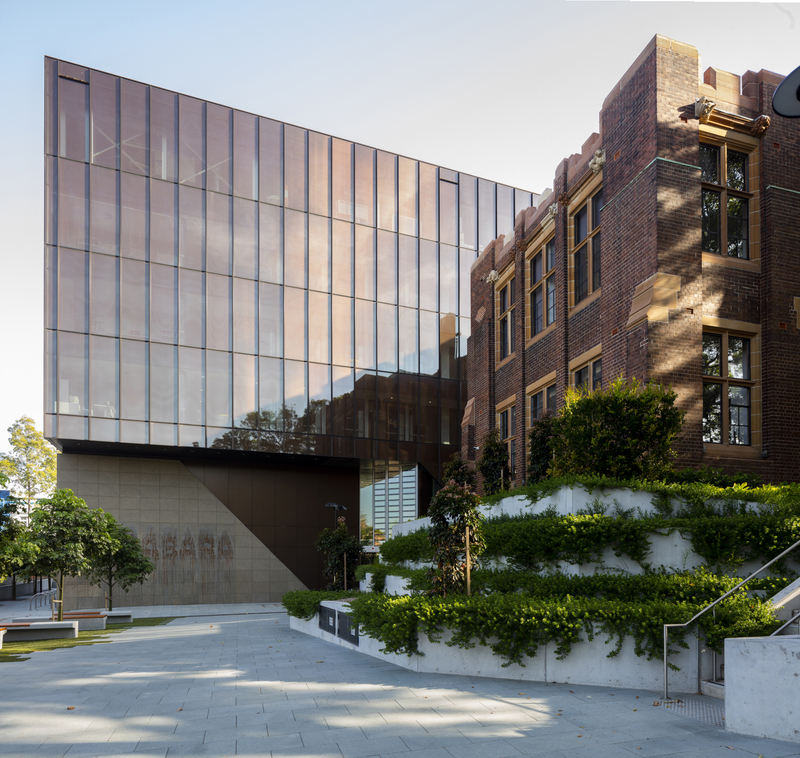 Features include a well-insulated façade made from metallic bronze-coasted interstitial Sefar micro-mesh interlayer laminated into Okalux Architectural glass. 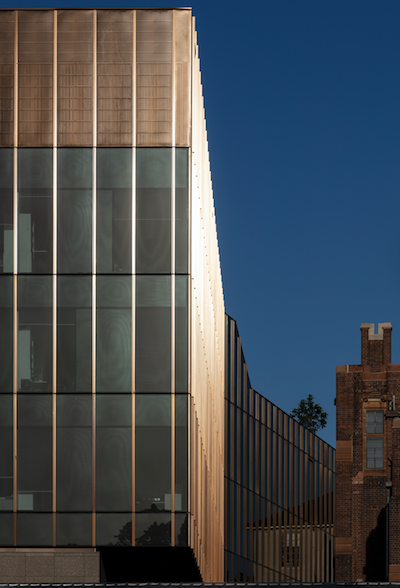 Not only does this create an incredible optical effect, but it also provides excellent thermal protection and encourages natural light flow into the building. 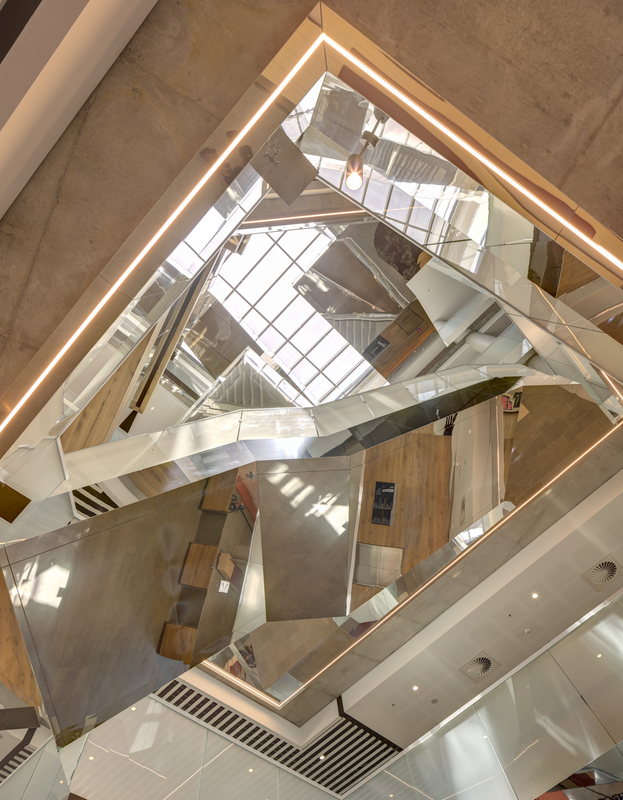 Art installations throughout the University provide cultural connection to the building's historical significance, traditional owners and faculty. 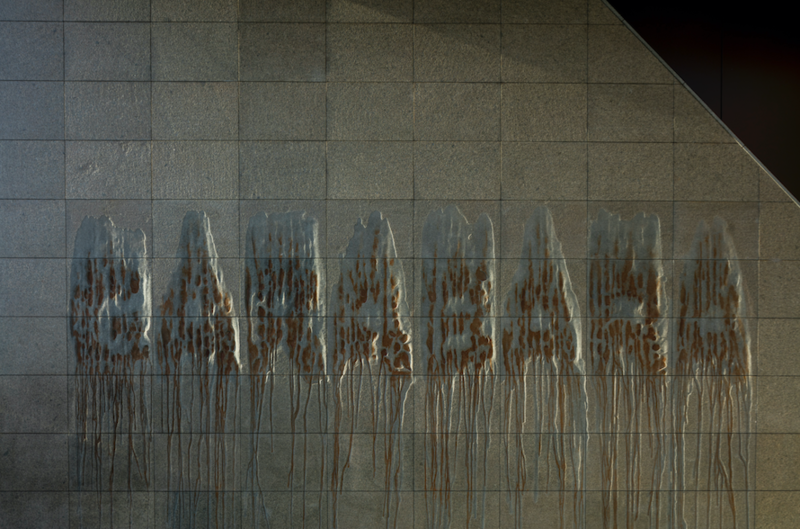 A feature piece emblazoned on the granite façade of the building is a work by Robert Andrew entitled ‘GARABARA’. Garabara is the term for an Australian Aboriginal dance ceremony or gathering where stories are told, and knowledge is passed on to younger generations.